What do you do when your car breaks down, you lock the keys inside of it, you run out of gas, or a serious accident occurs and you’re left holding the rubble and looking for help to get everything taken care of? How do you prepare for these incidents? What can you do? 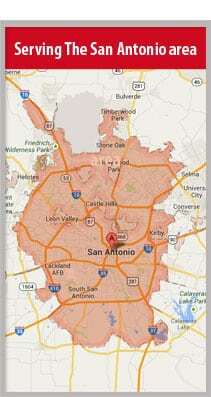 Here at Shield Towing San Antonio, we and our network of independently owned and licensed affiliates hope we can be the answer! The best thing you can do to prevent trauma or trouble is to prepare for it, and as far as we’re concerned, we make it our business to be prepared for you! 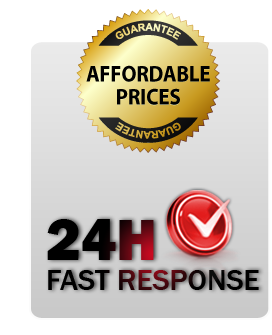 Shield Towing and their network of licensed affiliates are a 24/7 towing service. Our team of highly trained professionals is available and on call anytime, night or day, and we’ll respond within the fastest time of your call, GUARANTEED. Each and every member of the team is held to high standards of quality service for the most affordable prices and will be there for you from the moment you call until everything is taken care of. Whether you need local or long distance towing or roadside assistance, let us take care of you! Why Choose Quality Roadside Services By Shield Towing in San Antonio? As a towing company in San Antonio and their network of licensed affiliates experts, you can bet that we’ve seen a lot, and we have. Traveling through the area for years, we’ve helped drivers in unimaginable situations! That’s why no matter what trouble befalls you and leaves you stranded on the side of the road you can count on us to be there for you! Our roadside assistance services are second to none; each and every truck we send out is equipped with all the tools and software needed to help you with everything from a tire change to an empty gas tank refill. If you are in need of off-road recovery, a gas tank refill, or a tire change, we have the tools you need and can be to your side quickly! We also help with dead battery jumpstarts whether it’s in the dead of night or the middle of the day. One of our specialties has to do with car lockout solutions. Whether it’s absent-mindedness or an accident that leaves you stranded outside of your own car, we’ve got the tools and training to help you get it fixed quickly. Our technicians will arrive within a half an hour of your call because we never want you to be stranded! We’ll then set about to quickly resolve your car-lockout problems. We also advise all our customers to never attempt car unlocks or broken key extraction on their own, as being overly ambitious can end up causing worse damage to the vehicle. Sometimes solutions are quick and easy; just unlock the door or pop the trunk. If your needs include replacement or duplication of a key, we can provide these services ON THE SPOT! And unlike your car dealership, we will willingly replace and reprogram your transponder keys quickly and at affordable prices! Very quick response! Within :45 minutes of contacting them, they were at my house. The driver was very courteous and considerate, as well as appearing to be very thorough when loading and securing my truck. I'll use them again, and recommend them to friends. This company is square business. On point no bs would use again if needed. Got me off the hoghway in 30. I needed a tow because my alternator died and i was stranded in the middle of the street. My tow truck driver showed up as promised and the whole process went smooth. He was honest enough to engage the emergency gear release because my suv wouldnt go into nuetral saving me $60. Great integrity. Timely and great job. Pulled my truck off of busy N 35 highway and considered my safety in the process. Highly recommend the driver and this service. My wife and I were on the way home when our rear passenger tire fell off. Shield towing showed up in 15 minutes and were able to accommodate my situation with the right tools. The driver made sure we were safe and got us info the cab of the tow truck because were we on a busy rode. When you need towing assistance in the San Antonio area, let Shield Towing bring you the best service on the road!